The following Web Hosting packages will receive the first 12 months free. After the first 12 months, regular prices apply. 24 month minimum contract term and a setup fee of $4.99 apply. Offer applies to new packages only; package upgrades are not eligible. Offer valid through July 31st, 2010. 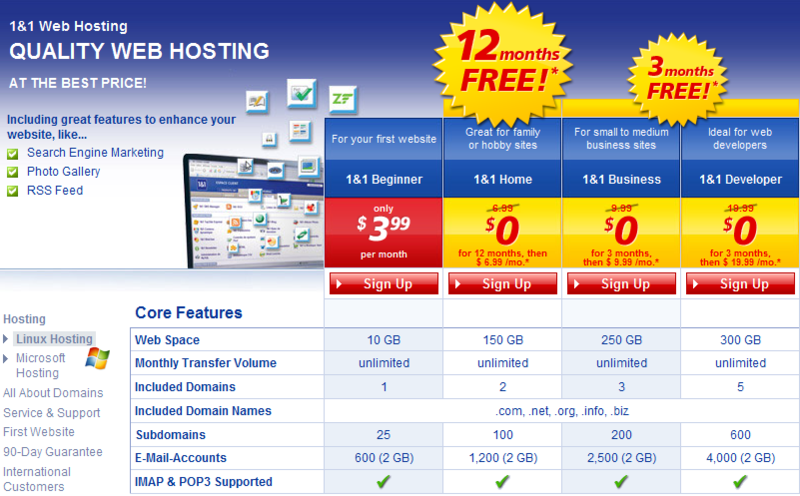 The following Web Hosting packages will receive the first 3 months free. After the first 3 months, regular prices apply. 12 month minimum contract term and a setup fee of $9.99 apply. Click here for full promotional offer details.